Citerra Finance: Citerra Finance has a comfortable, accessible and non-complicated process to help patients with financing. Interest rates will depend on your tier of credit score. One of the benefits of Citerra Finance is that patients can also add funds for travel and spending money. Medicard’s financing program ensures that you don’t delay your treatment due to cost concerns by offering you a variety of financing terms. A vast majority of bariatric patients have paid for their surgeries via private insurance, Medicaid or Medicare. Still, some patients have had to cover the surgery through alternative sources of financing. There are also people out there who qualify for bariatric surgery but are not able to get the help they need because they are either uninsured or underinsured. These are the bariatric surgery financing options available. This option is your least expensive option even though you will still incur out-of-pocket costs. Even though most insurance companies cover bariatric surgery, some health plans exclude it entirely. It is therefore essential to find out from your insurance company if bariatric surgery is included in your plan. Additional requirements that vary among different insurers and health plans include medical necessity, patient criteria, procedure, and previous weight loss history with some insurers requiring documented weight loss attempts. BMI of over 40 (morbidly obese) or BMI of over 35 (obese) with obesity-related health complications such as high blood pressure, heart disease, sleep apnea, diabetes or degenerative arthritis. Failure to lose weight using non-surgical methods. High risk of obesity-related complications is becoming fatal. Willingness to commit to a lifetime of dietary requirements. Your chances of approval are higher when you are personally involved in the process; seek your doctor’s assistance in getting the support and are persistent with your insurance company. Many bariatric surgeons have payment plans in place to make treatment more affordable. Payment methods vary depending on how you negotiate with your doctor. Some charge you a very low-interest-rate while others agree that you pay them interest-free over time. Some even reduce the cost or offer it at no cost for those who can’t afford to pay. Hospital fee – confirm how many hospital nights are included. Routine follow-up usually visits for the next 12 months. This option varies from person to person. Financing bariatric surgery from borrowings from your family and friends saves you huge costs regarding the high-interest rates that banks would charge you. It is also surprising how family and friends can be willing to help you live a healthier and longer life. A secured medical loan is a loan from a financial institution such as a bank or credit union that is backed by collateral. If you are unable to pay back the mortgage as agreed, the institution has a right to ownership of the collateral used to support the loan. Secured medical loans are usually more complicated to secure and are typically targeted for loan amounts higher than $15,000. 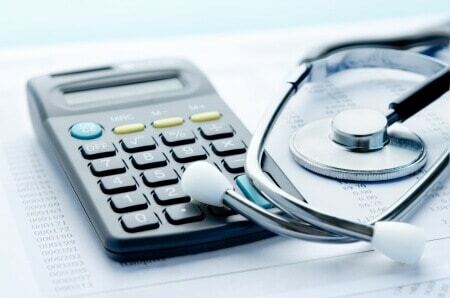 Unsecured medical loans can be in the form of credit cards, brokers or direct lenders. The most critical factor that determines the loan type available to you and the rate you will be charged is your credit score and report. Your chances of getting approved for a loan. The interest rate you will most likely be charged and how competitive it is. If there are any inaccuracies in your credit report that can be removed to improve your credit score. Brokers can work with multiple lenders on your behalf. With direct lenders, you are in direct contact with the financial institution. Credit cards are relatively simple to obtain but are usually the most expensive type of unsecured loan. Medical travel usually involves your bariatric surgeon recommending surgery in another country where you can receive top-notch medical care at a fraction of the cost. Can you board a plane to have surgery in another area? Is there someone close to you who can travel with you? Would you still go ahead with this option if your doctor was against it, but your research checked out? This option can save you up to $20,000 or more and is becoming an increasingly viable option for bariatric surgery.